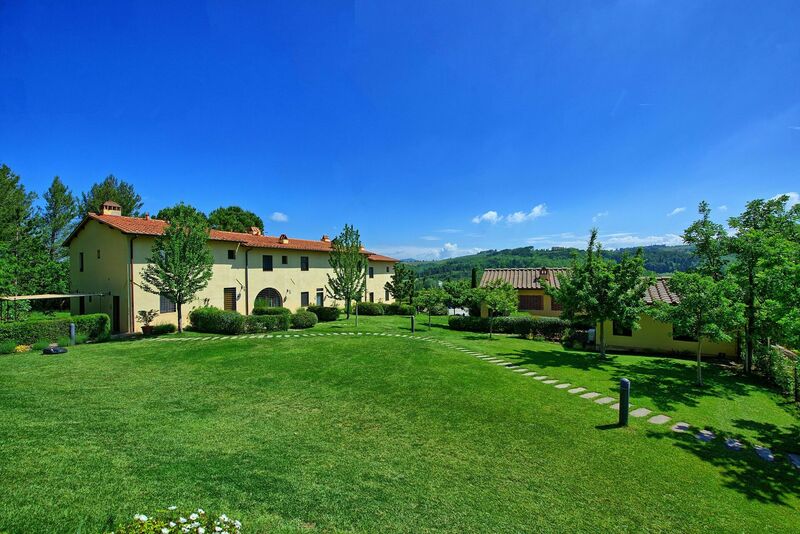 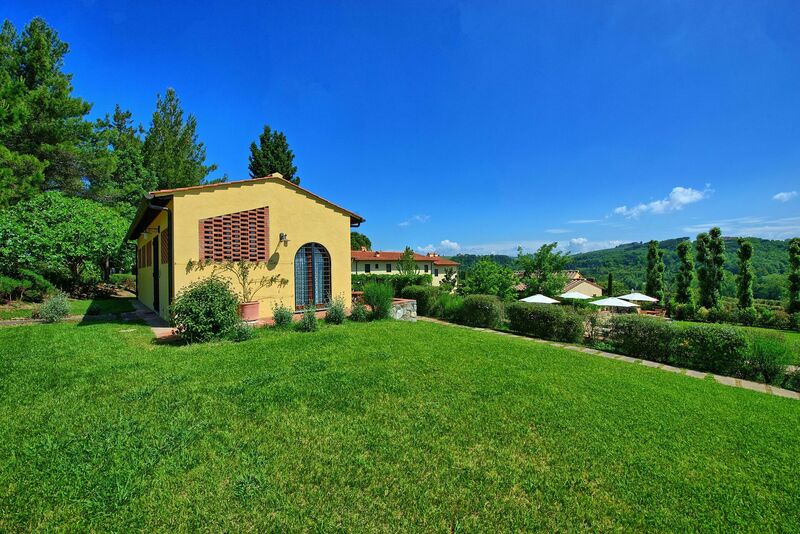 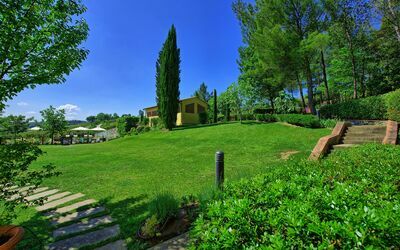 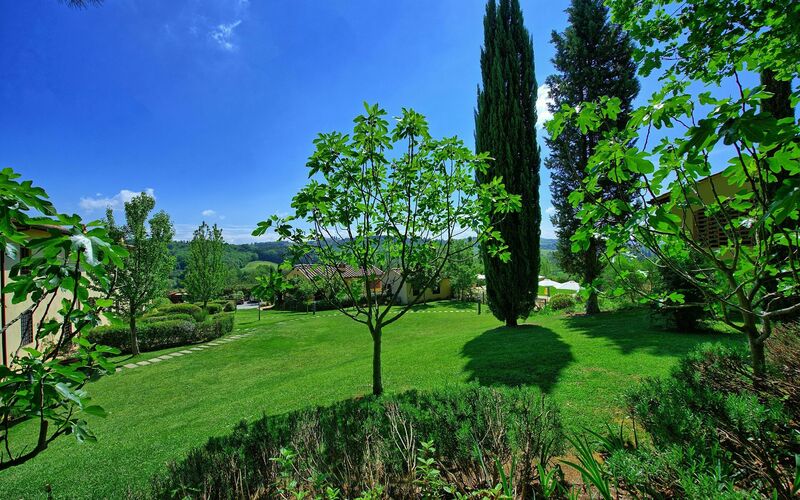 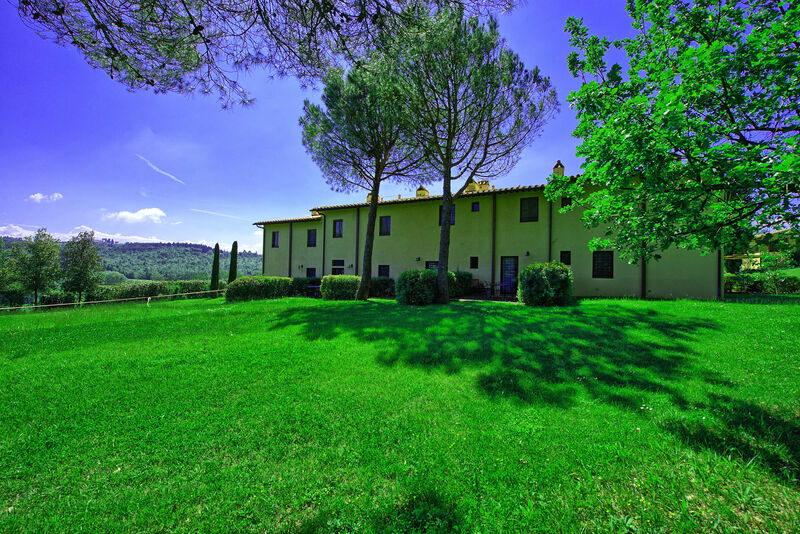 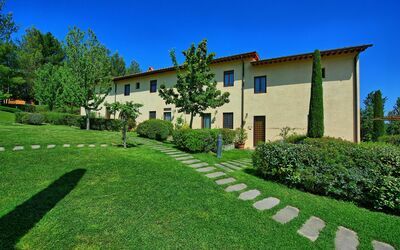 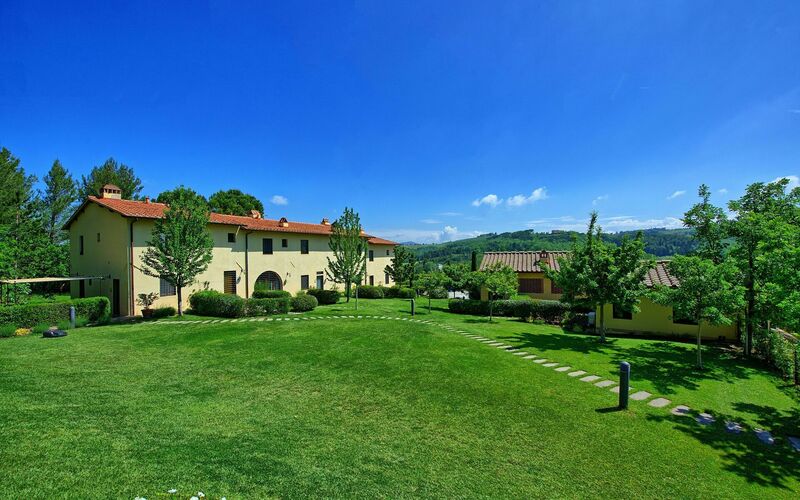 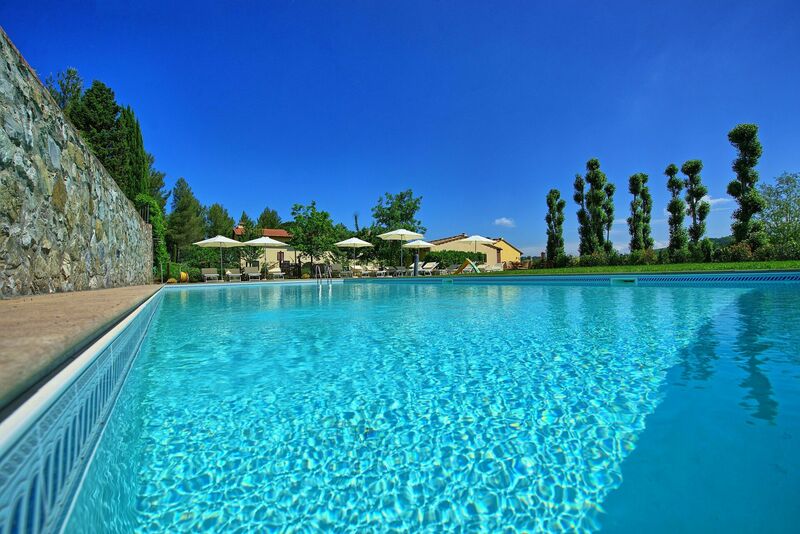 Lovely complex of apartments with swimming pool for rent near Florence, perfectly located to explore Tuscany and the famous Chianti area. 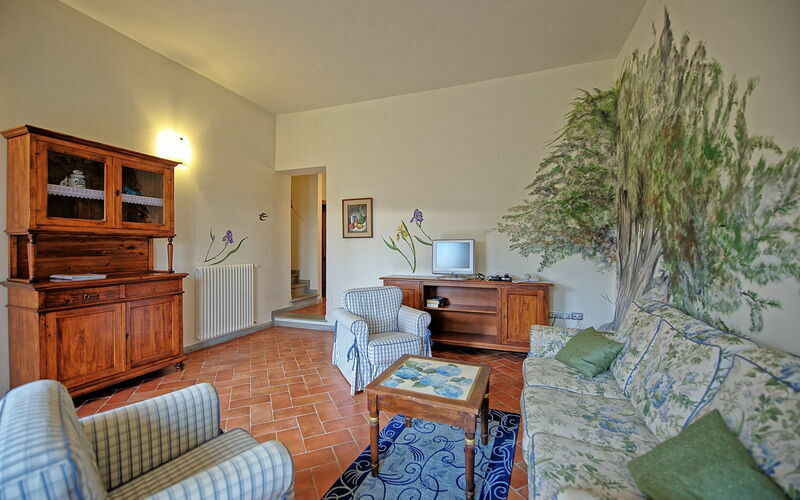 The property consists of 10 carefully furnished apartments. 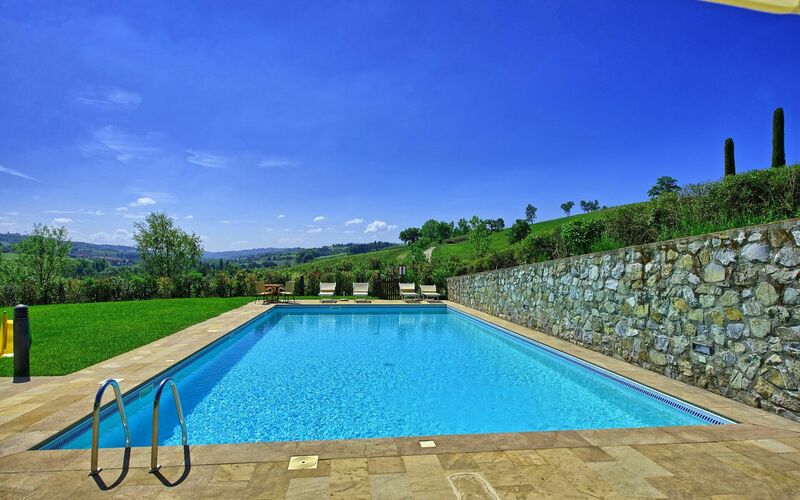 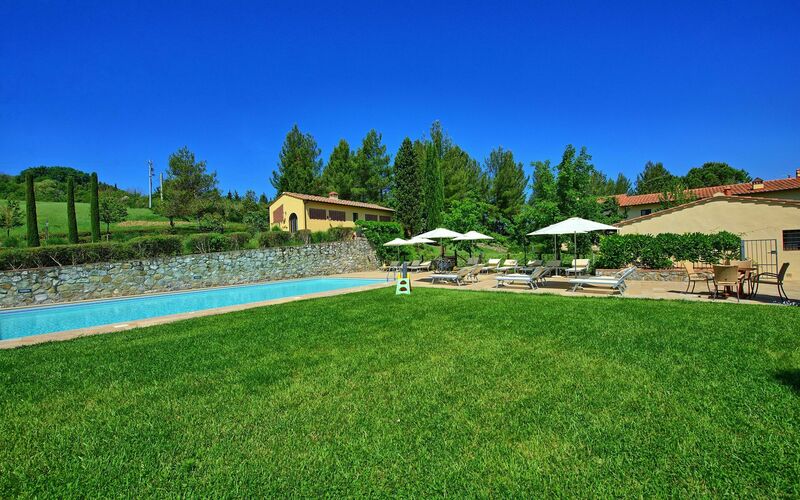 A large garden with a generously sized swimming pool is at complete disposal of the guests. 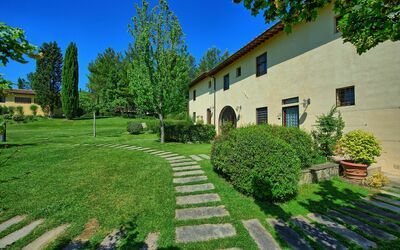 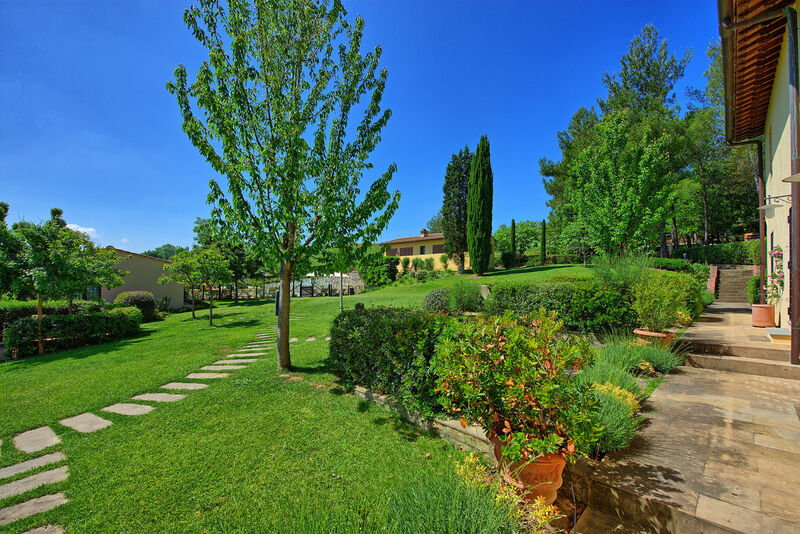 The property is set within fenced-in grounds and the owners are well known local producers of olive oil: the guests will be able to taste their delicious products. 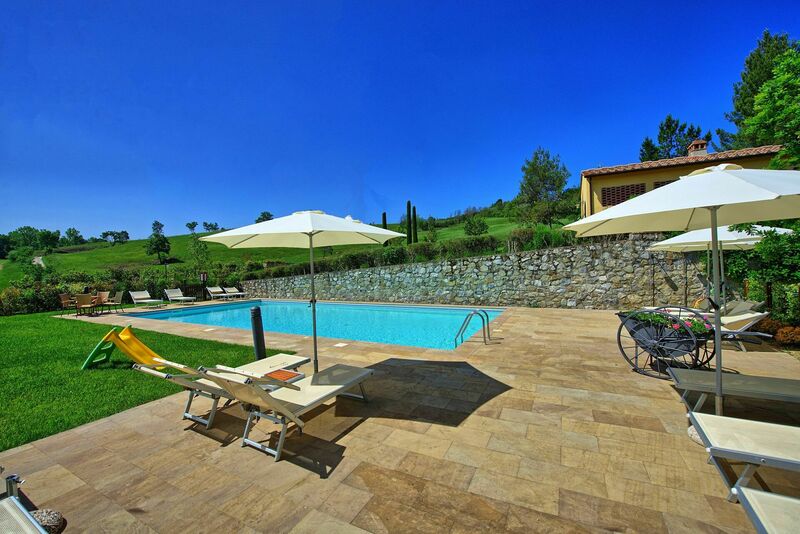 During the summer season a well stocked bar is also available for the guests to enjoy. 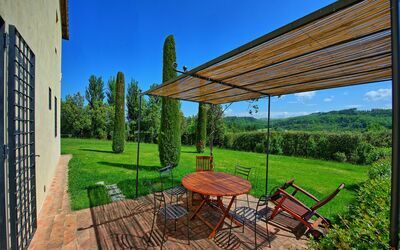 In addition there are 2 brick-built barbecue, a ping-pong table, a table football and 6 bycicles to explore the surrounding countryside (free of charge). 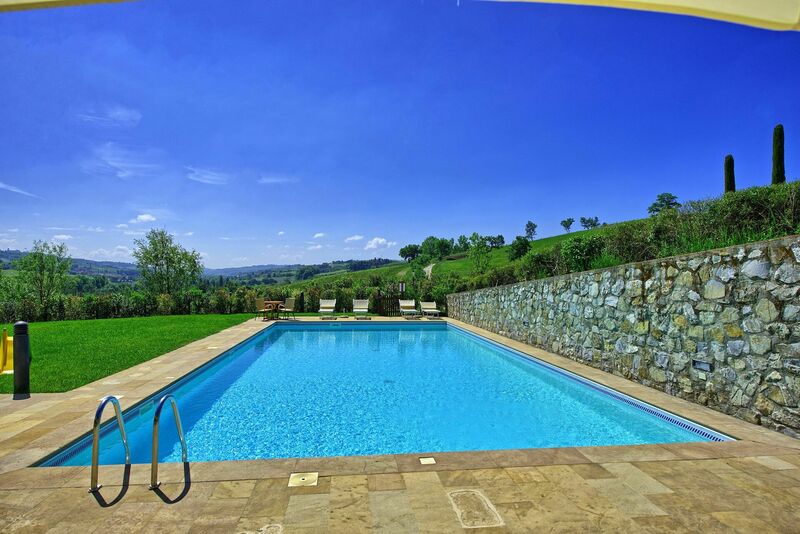 The beautiful swimming pool (size: 12m x 6m; depth: 1,50m) is set within an extensive sunbathing area and offers panoramic views. 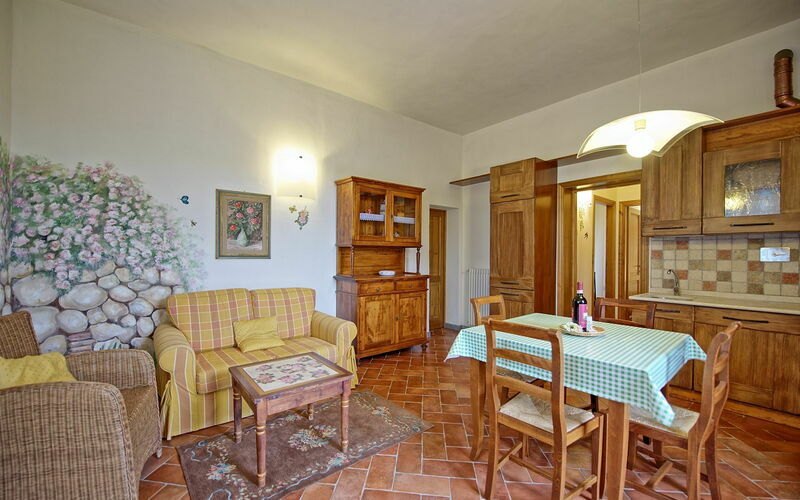 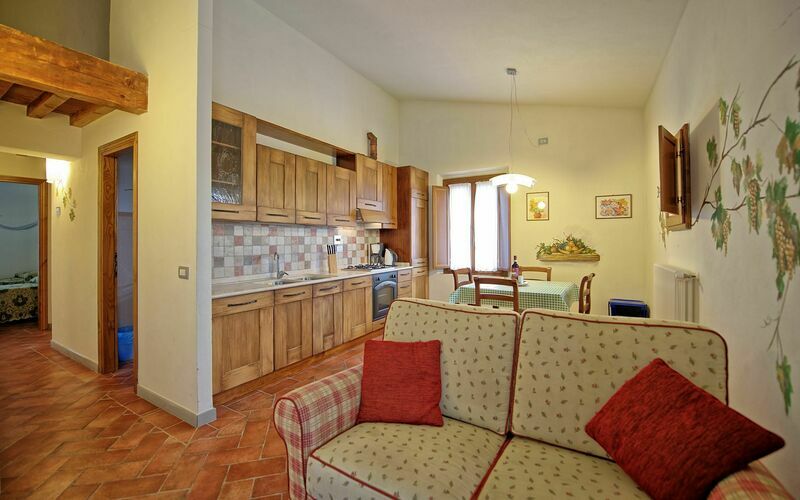 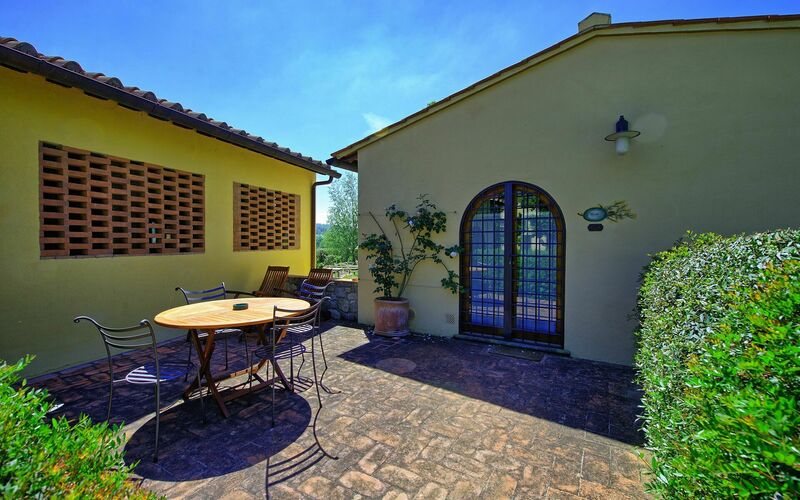 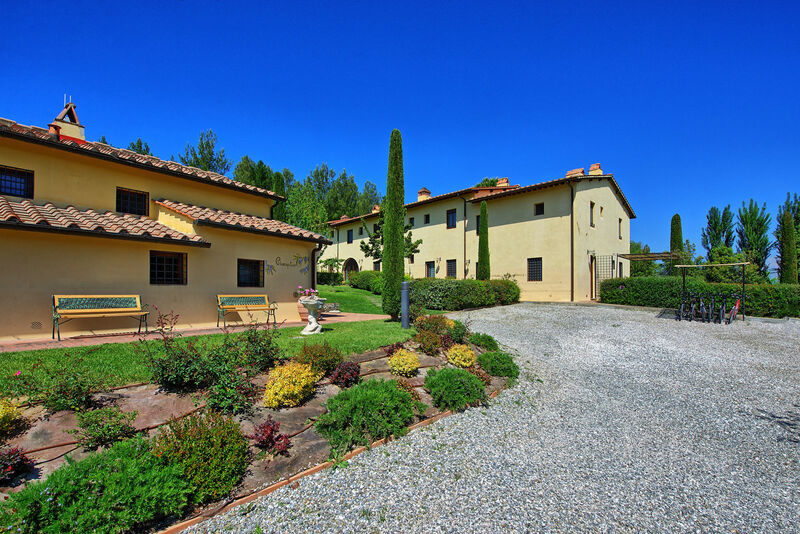 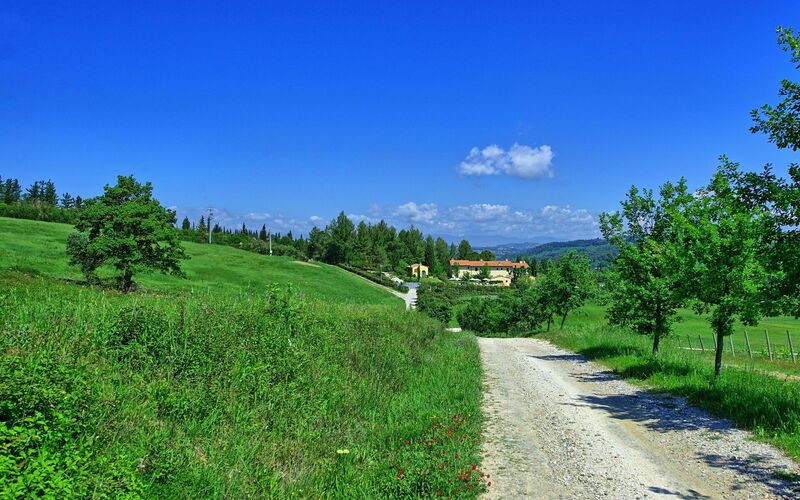 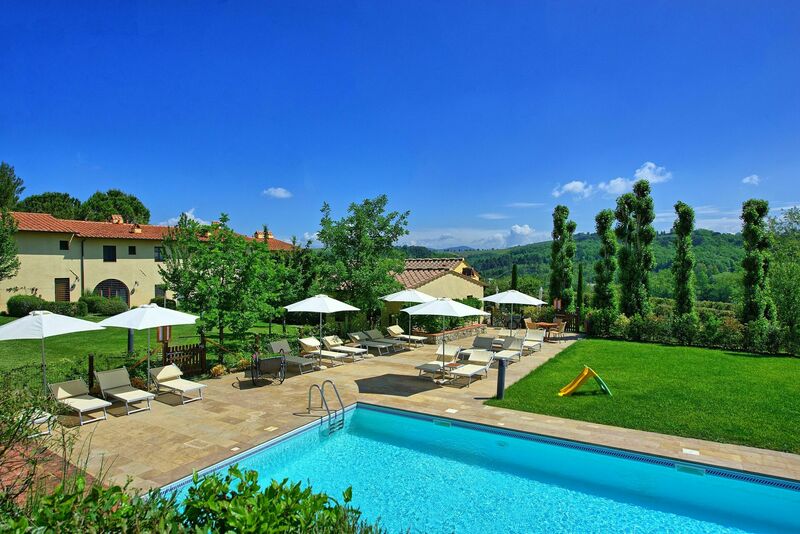 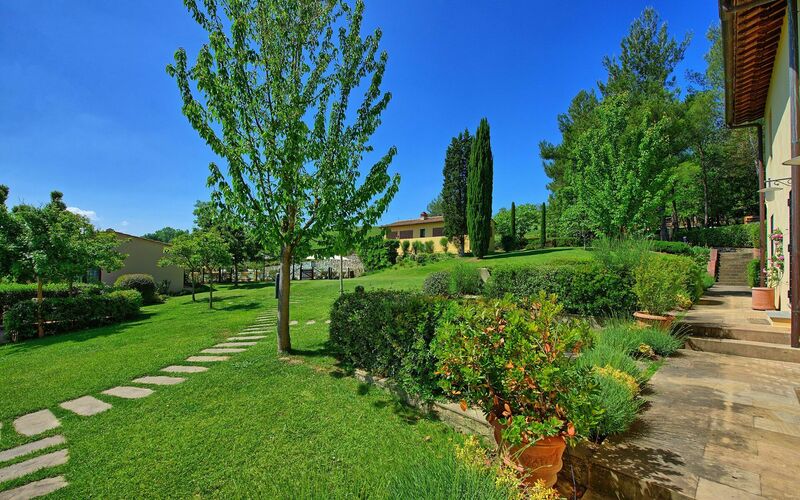 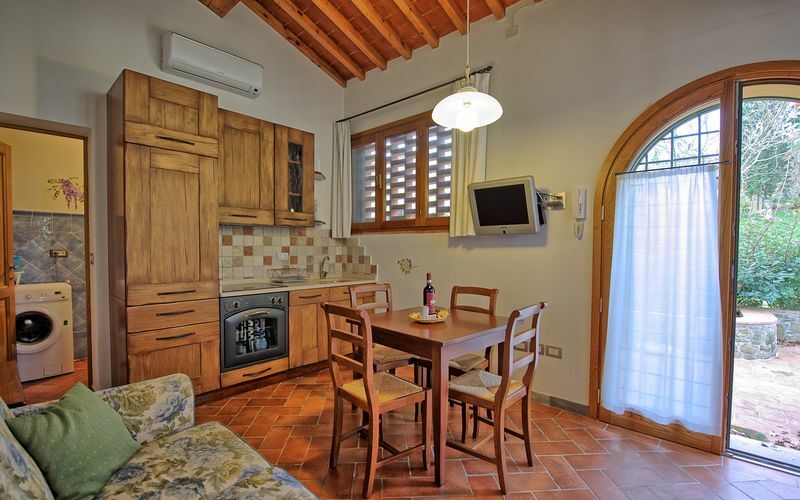 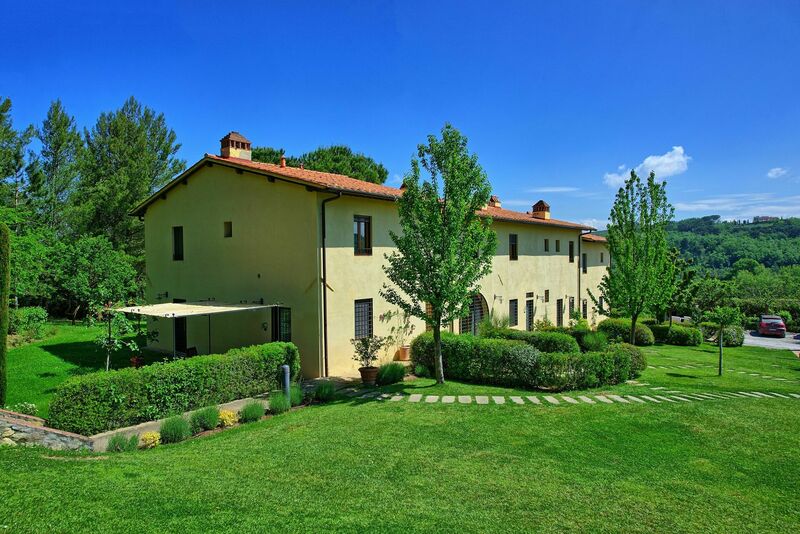 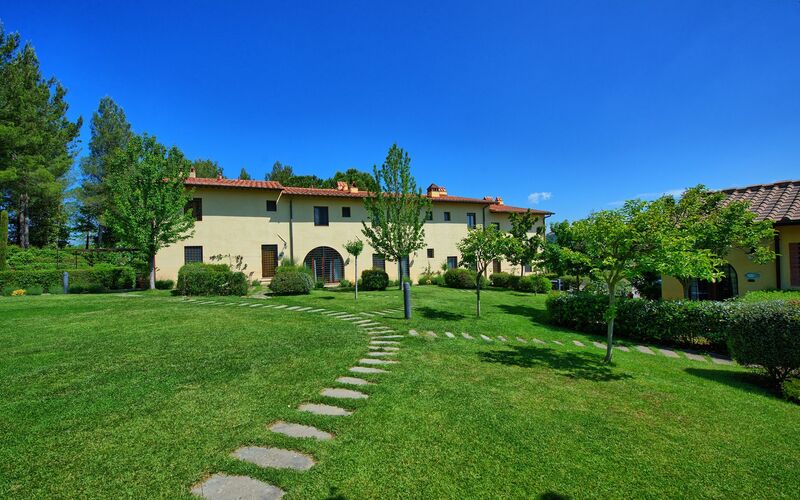 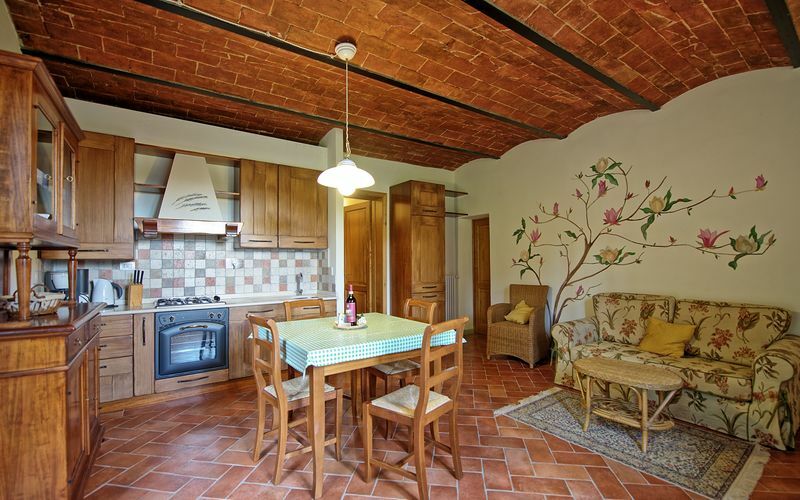 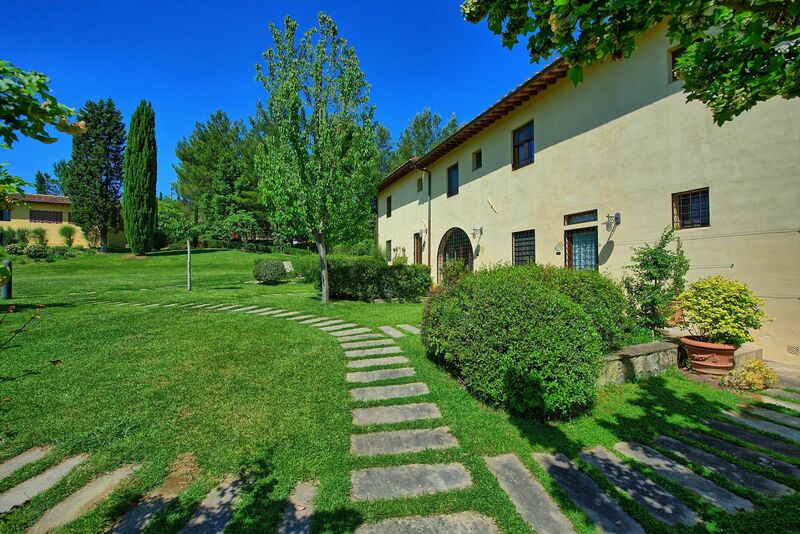 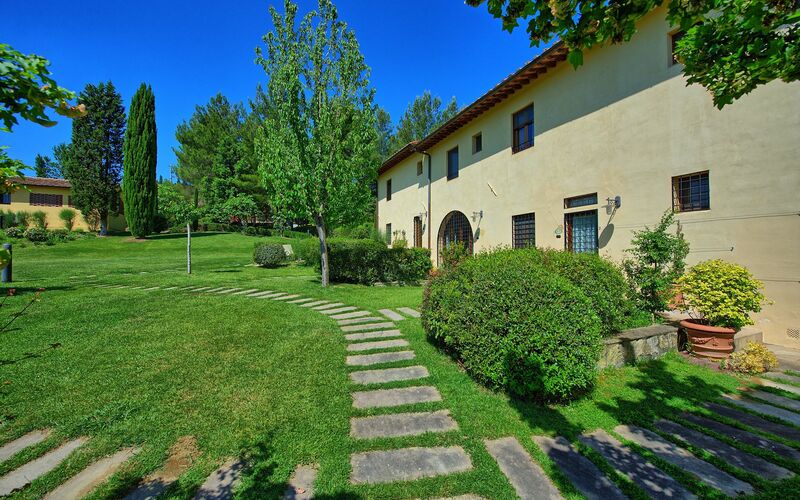 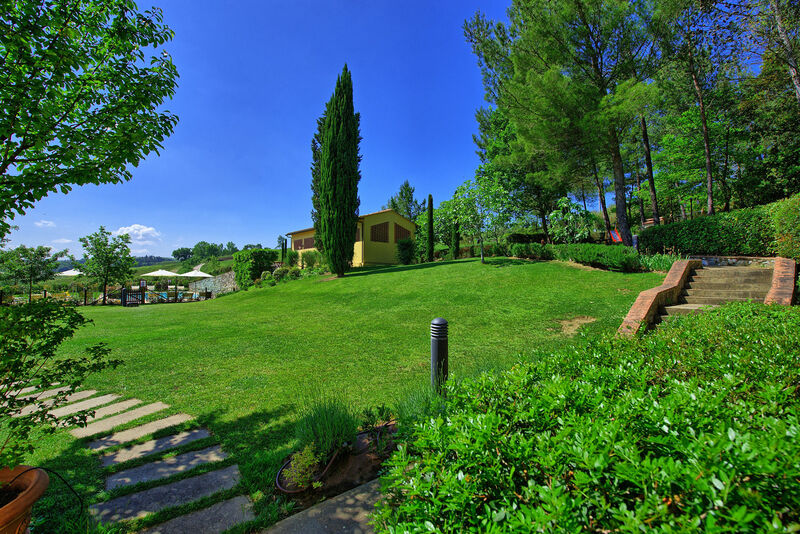 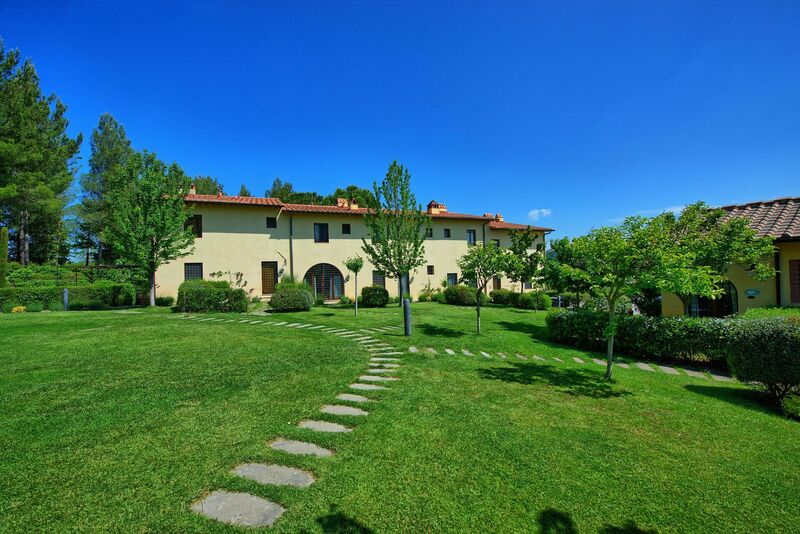 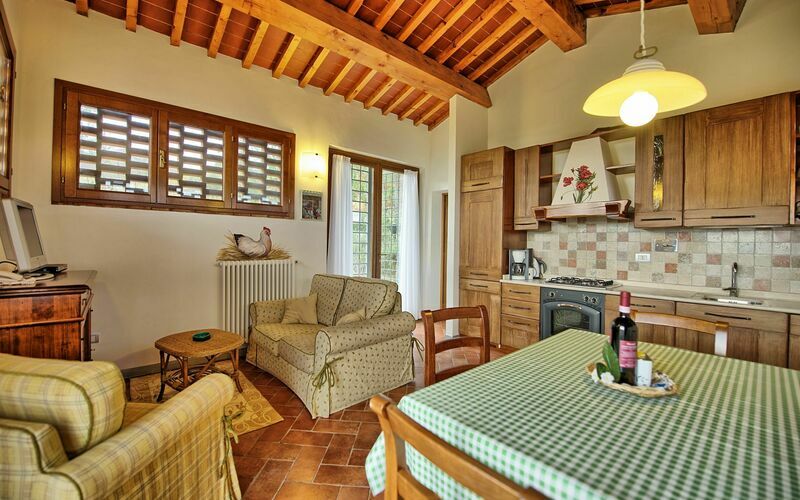 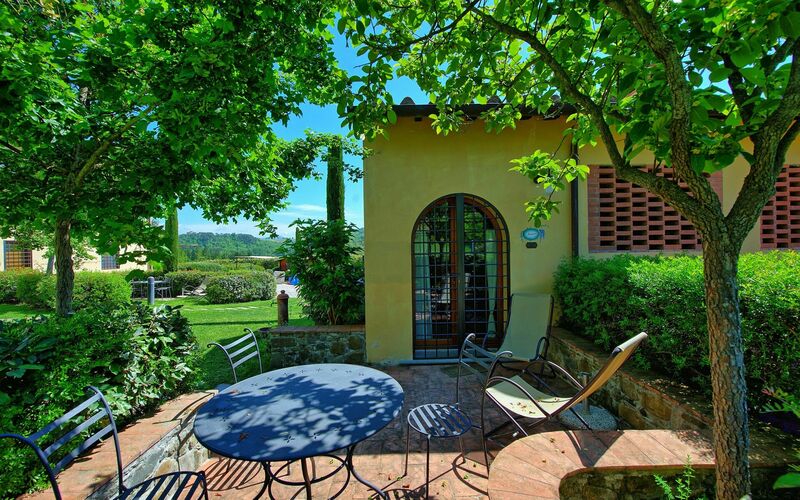 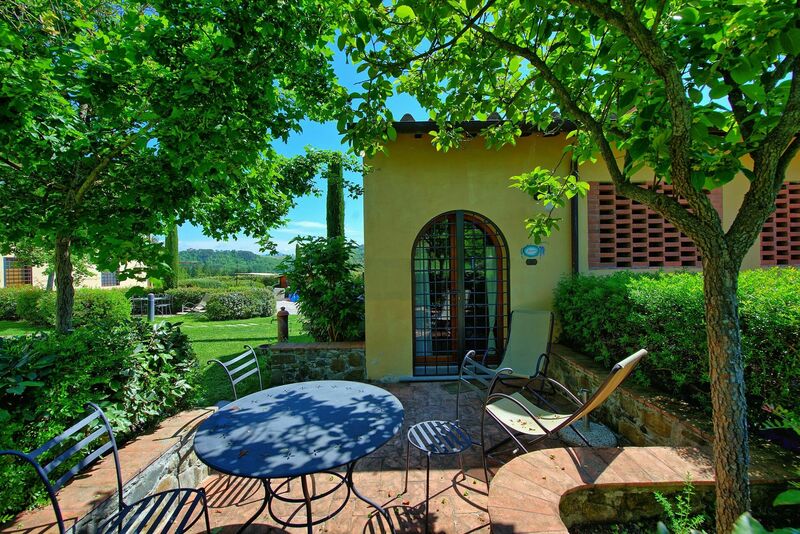 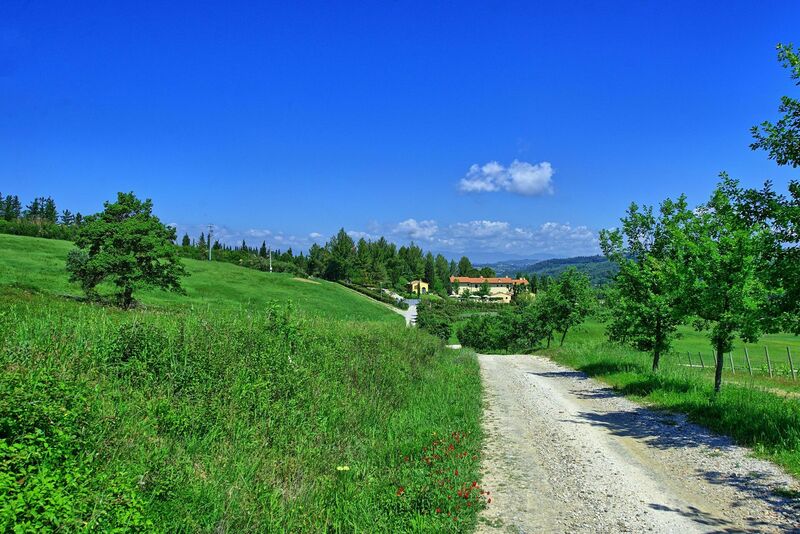 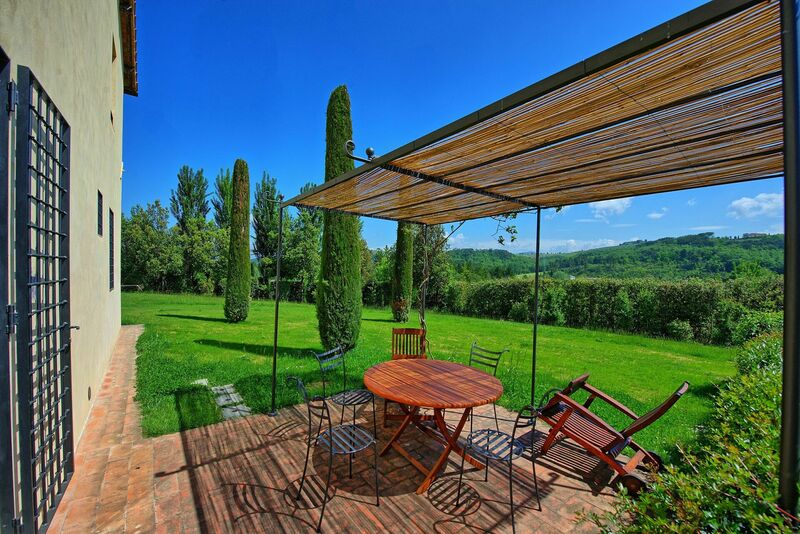 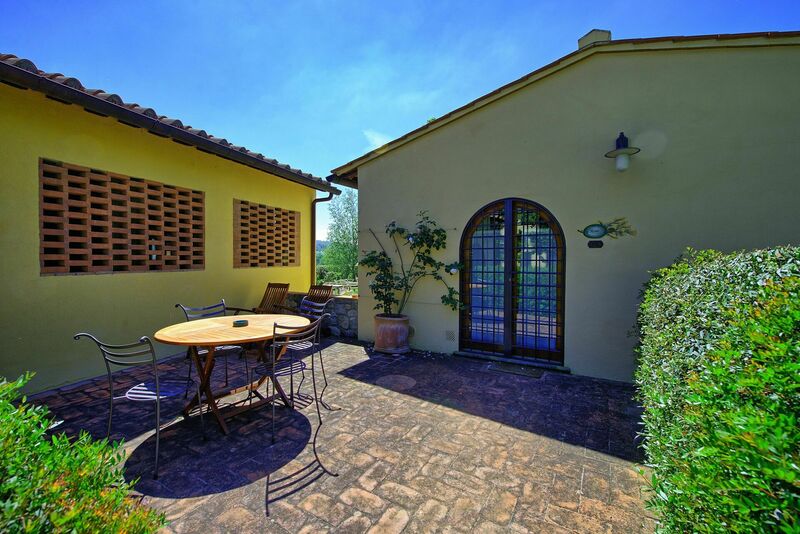 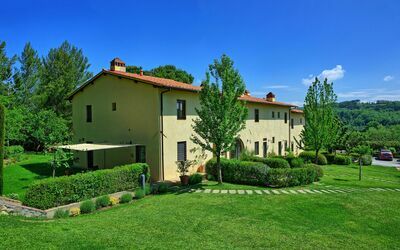 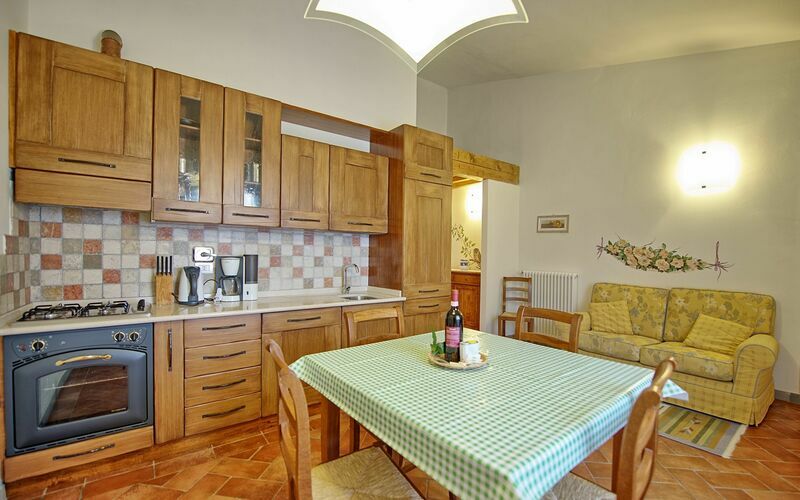 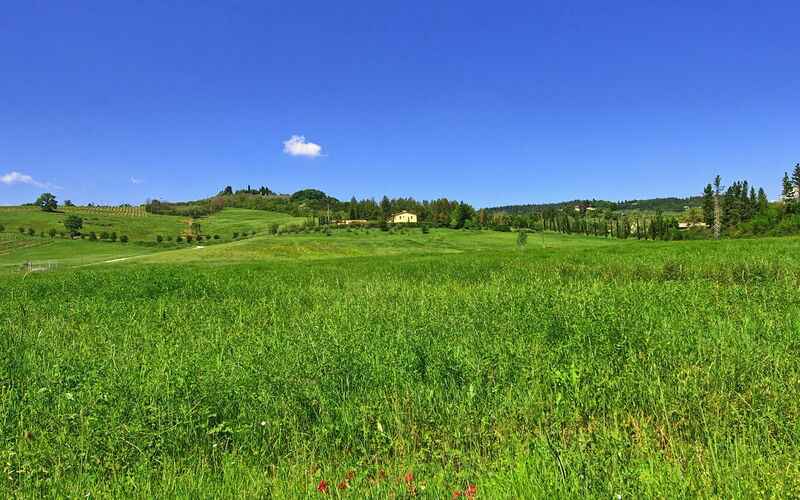 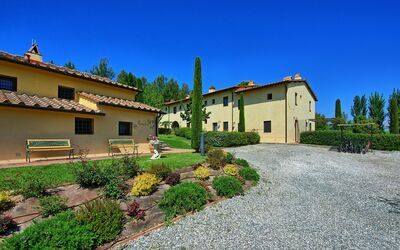 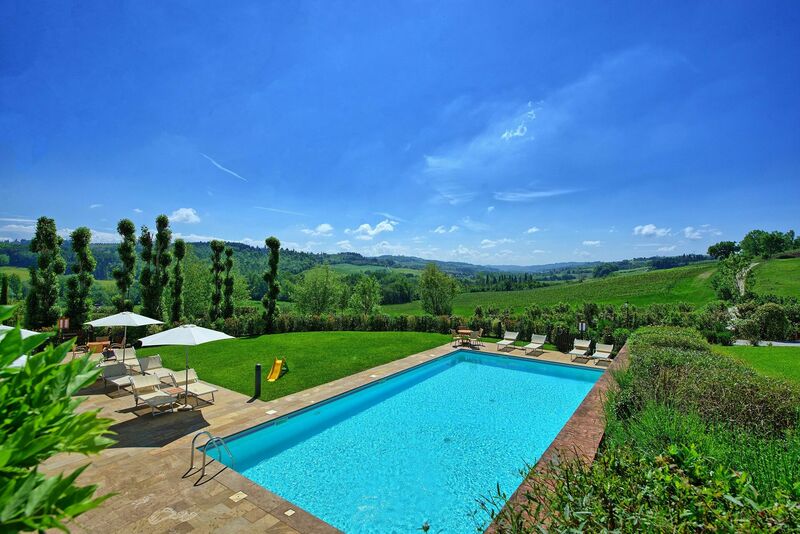 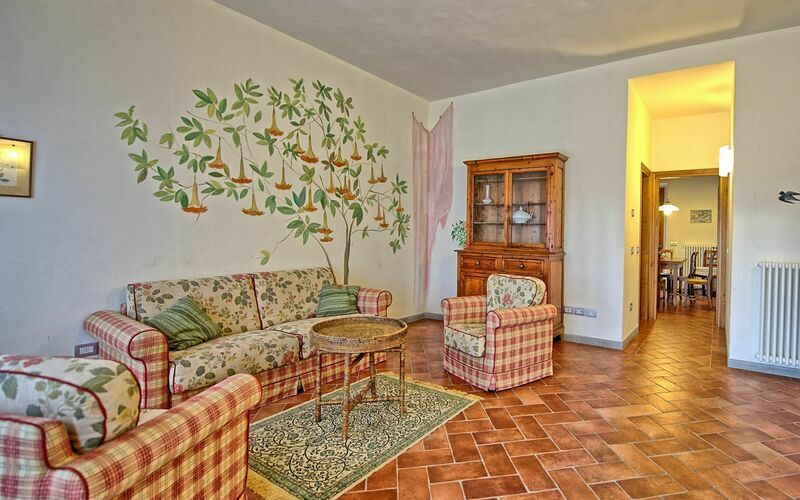 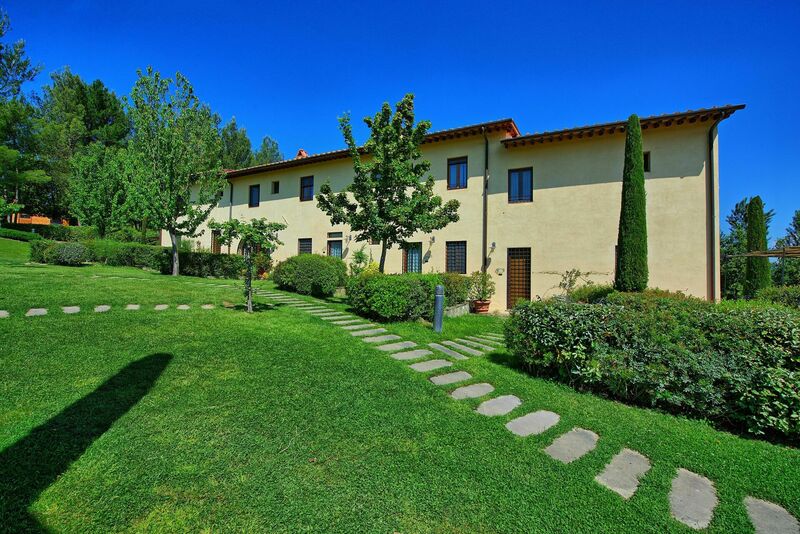 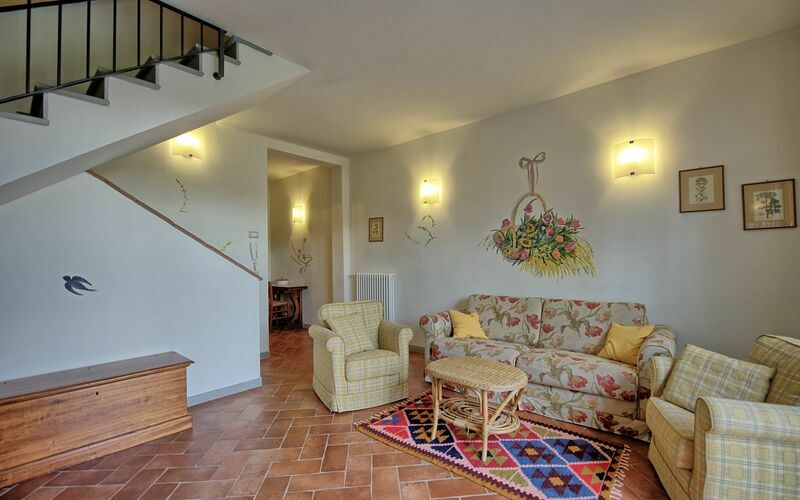 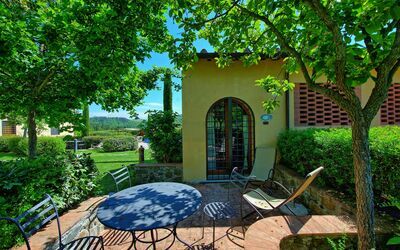 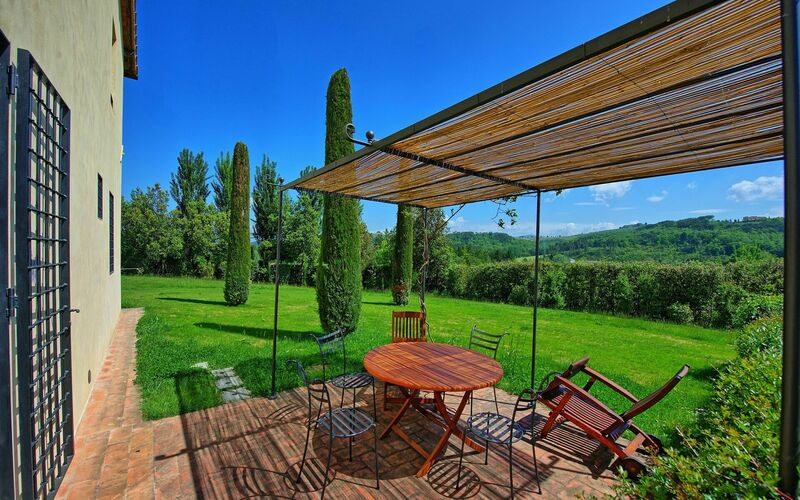 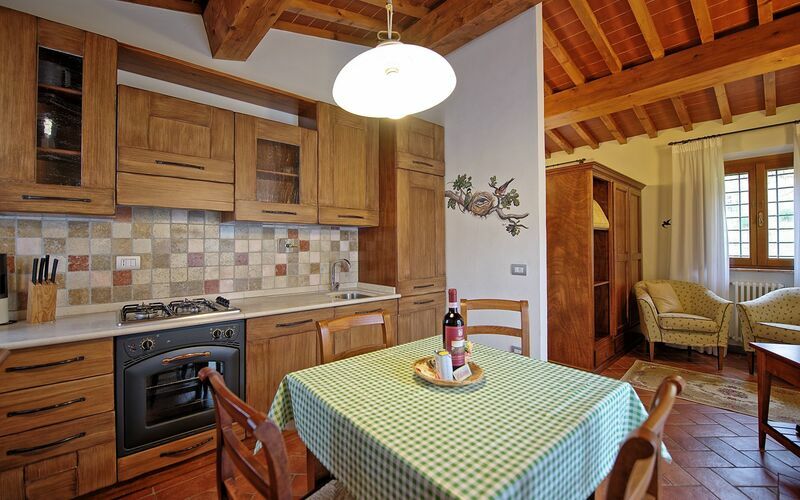 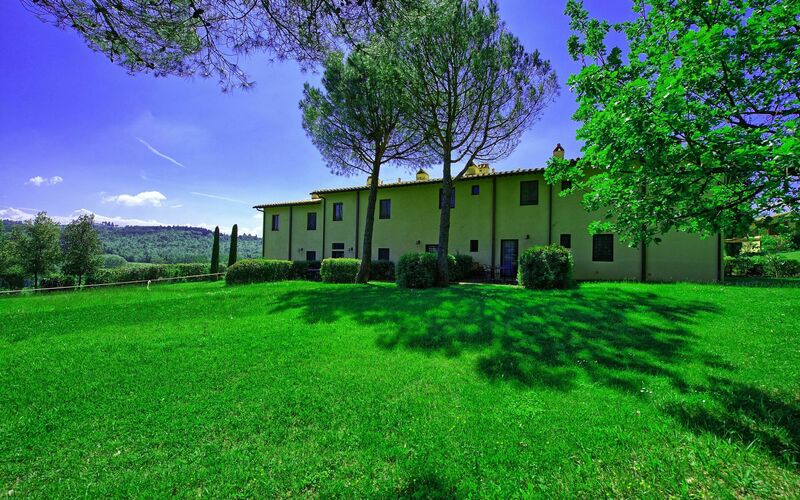 These apartments for rent are the perfect choice to visit Tuscany. 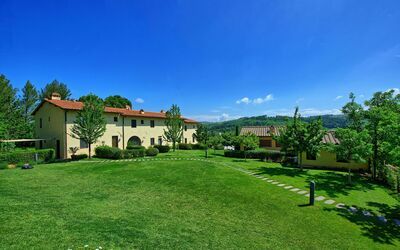 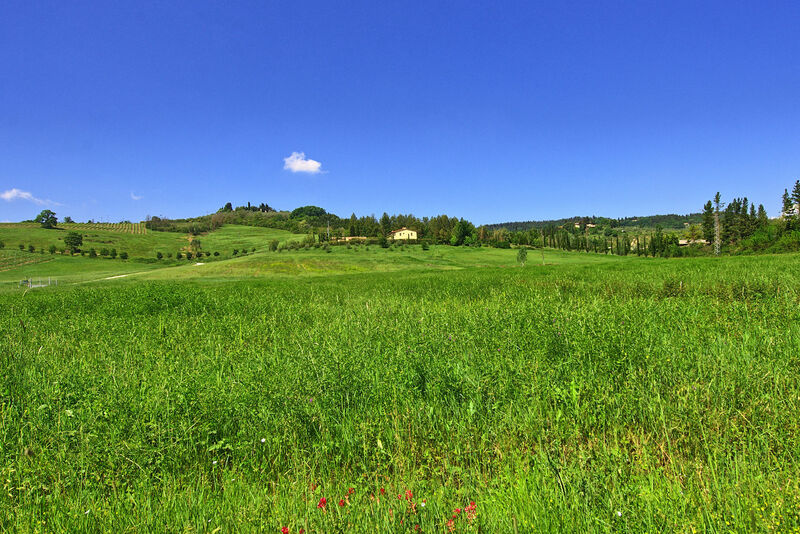 Distances: Baccaiano (bar, restaurant, food shops) 2,5 km away, Montespertoli (shops of any kind) a 6,5 km away, Florence is just 30 km away, San Gimignano 35 km away, Chianti Classico (with the pretty villages of Castellina in Chianti, Greve in Chianti, Radda in Chianti, Gaiole in Chianti etc.. ) is within 40 - 80 km, Pisa and Lucca 70 km away, Siena 80 km away, Arezzo 103 km, away Cortona 130 km away.